Thought i'd start it up, and perhaps continue it on the cc.net site. And lets see how many out of the nearly 500 odd we can find (if anyone can see any on ebay/pistonheads online feel free to list them but state you're not the owner). Mileage unknown as donor engine. 13 but in good nick. Bodykit, 17''s, tints, exhaust system and evo spoiler. mint condition - standard bodywork - 40mm springs - 17' black with chrome lip team dynamics - strait through exhaust so clean no rust so shiney all new paint....omg why did i sell it!! Continuing this on cc.net and then will make up a website to get together some information on everyone's SE2's and then a count list, of where they are in the UK/world. on 17's Lowered 40mm on gmax kit, Billet4 4 pot brake calipres, yellow Power Cap, yellow plug cover, yellow dials, floor mats, trip comp, and ironing board spoiler. Rob, love the alloys on your SE2 really suits it. Anyone know the username of the L*** BNR SE2!? shes currently sorn and without m.o.t but before you call me hitler its only because the headgasket went as it came to end of m.o.t and im doing it mysen but shes very healthy otherwise and i love owning an se 2 im thinking of us all meeting up sumwhere central sometime, would be great? 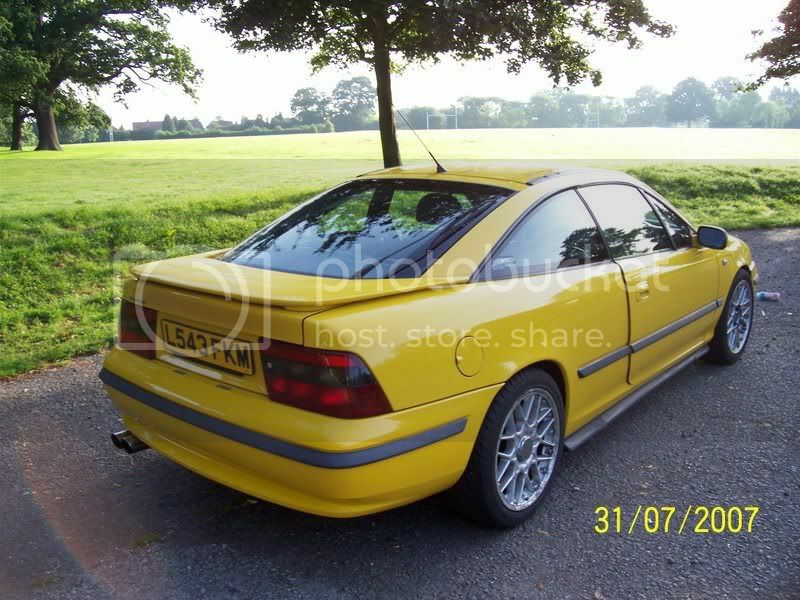 ahhhh i miss my calibra!!! Does this belong to anyone on .net, or here! ?